FISHER, Sir GEORGE BULTEEL, army officer and painter; b. 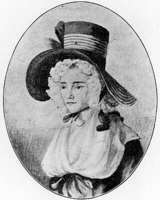 16 March 1764 in Peterborough, England, youngest of nine sons of John Fisher and Elizabeth Laurens; m. 7 May 1814 Elizabeth Rawlings in White Waltham, and they had one daughter; d. 8 March 1834 in Woolwich (London). George Bulteel Fisher’s family was a distinguished one. His eldest brother, John, followed in the footsteps of his father, an Anglican clergyman, graduating from Cambridge to pursue a career in the Church of England, which culminated in an appointment as bishop of Salisbury. Dubbed “the King’s Fisher” on account of his friendship with George III, John was a well-known patron of artists, especially John Constable, and through him George developed an association with Constable. George, John, and their brother Benjamin were all competent amateur watercolourists; however, the first has received more notice. Their artistic bent may have been derived from their mother, a Huguenot heiress. George, like Benjamin, followed a military career. He began his training, probably at about age 16, in the drawing room of the Tower of London, which focused on forming technical rather than tactical officers. Afterwards he attended the Royal Military Academy at Woolwich; he would have studied draftsmanship under Paul Sandby, chief drawing-master there from 1768 to 1796. In 1780 he and Benjamin were honorary exhibitors at the Royal Academy of Arts. Benjamin showed a view of Dominica and George one of the Isle of Wight, where their father was rector of Calbourne; the following year George showed another of the same island. Commissioned a second lieutenant in the Royal Artillery on 1 July 1782, Fisher was promoted first lieutenant on 28 May 1790 and that month was sent to Gibraltar. Fisher departed from there in 1791 for Lower Canada, where, by his account, he “had the honour of attending” Prince Edward* Augustus. This appointment may have been obtained through the influence of his brother John, who had been the prince’s tutor from 1780 to 1785. Fisher’s travels to Gibraltar, Lower Canada, and the West Indies paralleled those of Edward Augustus from 1790 to 1794, and it may be that he was on the prince’s staff for the same period. In April 1792 at Quebec Elizabeth Posthuma Simcoe [Gwillim*], wife of the recently appointed lieutenant governor of Upper Canada, John Graves Simcoe*, noted that she had seen some beautiful views of Windsor Castle drawn by Fisher for Edward Augustus and an oil painting of his which did not please her Later that month Fisher set out from Quebec to take some views of Niagara Falls, which he showed to the Simcoes on meeting them at Carleton Island (N.Y.) on his return. Fisher left Lower Canada for the West Indies in 1794 and was present that year at the capture of Martinique, St Lucia, and Guadeloupe under Sir Charles Grey. He was promoted captain-lieutenant on 6 March 1795. Once back in England he arranged for John William Edy to engrave and publish Six views of North America (London, 1796) after his sketches. These finely executed aquatints were originally issued in pairs dated 10 May 1795, 1 Sept. 1795, and 1 Feb. 1796; a descriptive pamphlet dedicated to Edward Augustus was published in 1796 to accompany them. Edy, a painter as well as an engraver active from about 1780 to at least 1824, deserves as much credit as Fisher for their superb quality. According to the art historian Gerald E. Finlay, the elements of the Picturesque so evident in these prints influenced a profound and immediate change in the style of a prolific contemporary painter of the Canadian landscape, George Heriot*. Equally beautiful is a larger scale aquatint by Fisher and Edy entitled View of the falls of Niagara, North America, which was probably published between c. 1795 and 1800. One extant impression was personally coloured and inscribed by Fisher for General John Hale; the general’s son John* had been aide-de-camp and military secretary to Edward Augustus at Quebec, where Fisher in all likelihood knew him. The duo of Fisher and Edy, presumably satisfied with the response to their North American prints, published six aquatints of Gibraltar scenes in 1796–97. In 1800 a Captain Fisher, believed to be George, exhibited a view of Niagara Falls at the Royal Academy of Arts. Eight years later Fisher made his last appearance there, exhibiting landscapes of Durham and Blackheath (London). He allegedly took views in Portugal with the panorama painter Robert Barker (d. 1806) for use in the latter’s exhibition room on Leicester Square in London. Having been promoted captain in 1801, major in 1806, and lieutenant-colonel on 28 June 1808, Fisher served in Portugal and Spain during the Peninsular War, beginning in March 1809. He assumed command of the Royal Artillery following the siege of Burgos, Spain, in the autumn of 1812; however, a misunderstanding with the Marquess of Wellington resulted in his return to England in July 1813. Fisher’s successor, Lieutenant-Colonel Alexander Dickson, had only high praise for him and intimated that Wellington had acted with haste and injustice. Fisher, favourably impressed with the fine Portuguese scenery, about which he remarked to the painter Joseph Farington in 1810, painted several water-colours while there. Fisher was an accomplished amateur artist in oil and water-colour who had the advantage of social contacts with professional artists, among whom were Constable, Farington, and possibly John Downman and Francis Towne. His penchant for lecturing about art impressed at least one subordinate officer in Portugal but failed to endear him to Constable, who confessed to being “tired of going to school.” Ten years earlier, however, Constable had praised Fisher’s North American drawings, and Fisher’s importance to Canada is undoubtedly this artistic legacy. Fisher was promoted brevet colonel on 4 June 1814, regimental colonel on 6 Nov. 1820, and major-general on 27 May 1825. He was made kb on 21 Sept. 1831 and a knight commander of the Hanoverian Order in 1833, and he was commandant of the Woolwich garrison from 10 Feb. 1827 until his death in 1834. He received a splendid military funeral and is buried at Old Charlton (London). [George Bulteel Fisher is sometimes confused with his brother Benjamin, ultimately major-general in the Royal Engineers, in which he was active from 1771 until his death in 1814. The Fisher family nicknamed George “the Colonel” and Benjamin “the General.” Benjamin was posted in Lower Canada from 1785 to about 1796 to report on and to take drawings of fortifications. 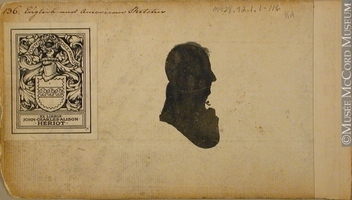 In March 1792, while at Quebec, he lent Mrs Simcoe his portfolio of drawings taken in Dominica. The only known extant Canadian water-colour by him, formerly attributed to George, is of Baie-Saint-Paul, province of Quebec; it is signed and dated “B. Fisher/ 1787” and is in the PAC. Impressions of the prints that make up Six views of North America are in the King George III Topographical Coll. in the Map Library of the BL, the PAC, the New York Public Library, and the Royal Ontario Museum, Toronto. The New York Public Library also owns a water-colour of a bridge, questionably identified as the Pont Déry, on the Rivière Jacques-Cartier and the Royal Ontario Museum owns one of the Great Falls of the Potomac in the Potomac River. Both are attributed to George; however, their attribution is under review. Fall of Montmorenci, plate number six of the Six views, is similar in subject to a water-colour, dated 1792, in the Victoria and Albert Museum, London. Impressions of the print of Niagara Falls, which are even rarer than the others, are in a private collection and in the PAC, which also owns water-colours of Canadian subjects by Fisher. A watercolour of Niagara Falls, attributed to Fisher but more likely a copy taken after an original drawing by him, fetched £1,485 at a London auction in 1983. Some of his European subjects are in the Victoria and Albert Museum and the British Museum in London, the Laing Art Gallery in Newcastle upon Tyne, the Leeds City Art Gallery, and the Whitworth Art Gallery in Manchester. Views of the Thames, Durham, Ireland, and Portugal were in dealers’ hands in 1938 and 1965. The author wishes to thank R. H. Hubbard, M. Allodi, J. T. Crosthwait, Lydia Foy, Douglas Schoenherr, and an anonymous private collector for their assistance. w.m.e.c.] AO, ms 517, 1: 46–48, 75. Berkshire Record Office (Reading, Eng. ), Reg. of marriages for the parish of White Waltham, 7 May 1814. Northamptonshire Record Office (Northampton, Eng. ), Reg. of baptisms for the parish of Peterborough, 6 April 1764. PRO, WO 76/360: 21. John Constable’s correspondence, ed. R. B. Beckett (6v., Ipswich, Eng., 1962–68), 2: 115–16, 344; 6: 1–4, 10, 23, 25, 107–8, 134, 157, 166, 221. Gentleman’s Magazine, January–June 1834: 656. William Swabey, Diary of campaigns in the Peninsula, for the years 1811, 12, and 13 . . . , ed. F. A. Whinyates (n.p., ), 15–16. United Service Journal and Naval and Military Magazine (1834), no.1: 575. Mary Allodi, Canadian watercolours and drawings in the Royal Ontario Museum (2v., Toronto, 1974), no.743. British watercolours in the Victoria and Albert Museum . . . , comp. Lionel Lambourne and Jean Hamilton (London, 1980), 133. 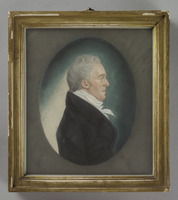 W. M. E. Cooke, W. H. Coverdale Collection of Canadiana: paintings, water-colours and drawings (Manoir Richelieu collection) (Ottawa, 1983), 220, 236–37. S. W. Fisher, A dictionary of watercolour painters, 1750–1900 (London, 1972), 73, 79. M. H. Grant, A dictionary of British landscape painters from the sixteenth to the early twentieth century (Leigh-on-Sea, Eng., 1952), 68. Algernon Graves, The Royal Academy of Arts . . . (8v., London, 1905–6), 3: 115, 118. J. R. Harper, Early painters and engravers in Canada ([Toronto], 1970), 112. Laing Art Gallery and Museum, Illustrated catalogue of the permanent collection of water colour drawings, comp. C. B. Stevenson ([Newcastle upon Tyne, Eng., 1939]), 17. List of officers of the Royal Regiment of Artillery from the year 1716 to the year 1899 . . . , comp. John Kane and W. H. Askwith (4th ed., London, 1900), 19, 169. Parker Gallery, A catalogue of views of the world (London, 1973). Quebec almanac, 1792: 116; 1794: 80, 84–85; 1795: 70; 1796: 78. Sigmund Samuel Collection, Canadiana and Americana, comp. C. W. Jefferys (Toronto, ), 121–22. I. N. P. Stokes and D. C. Haskell, American historical prints . . . (New York, 1933; repr. Detroit, 1974), 36, 40, 135–36. Ulrich Thieme and Felix Becker, Allgemeines Lexikon der bildenden Künstler von der Antike bis zur Gegenwart . . . (37v., Leipzig, German Democratic Republic, 1907–50), 10: 353; 12: 55. Victoria and Albert Museum, Catalogue of watercolour paintings by British artists and foreigners working in Great Britain (1v. and supp., London, 1927–51), 206–7; supp., 30. R. B. Beckett, John Constable and the Fishers (London, 1952), 6, 13, 176, 241. G. E. Finley, George Heriot: postmaster-painter of the Canadas (Toronto, 1983), 49–51, 63–64, 89, 93. M. H. Grant, A chronological history of the old English landscape painters (in oil) from the XVlth century to the XIXth century . . . (new ed., 8v., Leigh-on-Sea, 1957–61), 7: 513. Martin Hardie, Water-colour painting in Britain, ed. Dudley Snelgrove et al. (3v., London, 1966–68), 3: 264–65, plate 272. I.O. Williams, Early English watercolours, and some cognate drawings by artists born not later than 1785 (London, 1952; repr. Bath, Eng., 1970), 243–44, plate 398. “A newly discovered early English water-colour master,” Walker’s Monthly (London), no. 125 (May 1938): 1; no.126 (June 1938): 1–2. Adrian Bury, “Soldier-artist,” Connoisseur (London), 159 (May–August 1965), no.169: 47. Miriam Kramer, “United Kingdom news and views,” Canadian Collector (Toronto), 18 (1983), no.5: 63. W. Martha E. Cooke, “FISHER, Sir GEORGE BULTEEL,” in Dictionary of Canadian Biography, vol. 6, University of Toronto/Université Laval, 2003–, accessed April 19, 2019, http://www.biographi.ca/en/bio/fisher_george_bulteel_6E.html.